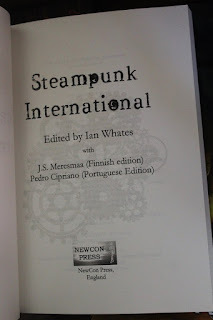 Available now from Newcon Press is Steampunk International, an anthology of new steampunk stories from Finland, Portugal and the UK. Following a break-in at the top secret Whitehall facility known as 'Think Tank', agent of the crown Ulysses Quicksilver and his trusty manservant Nimrod set off in pursuit of the perpetrator. It is a chase that will take them from the railway sheds of London to the dockyards of Bristol, and an encounter with a long-dead engineering genius. The book is, of course, also available in Finnish and Portuguese language editions. 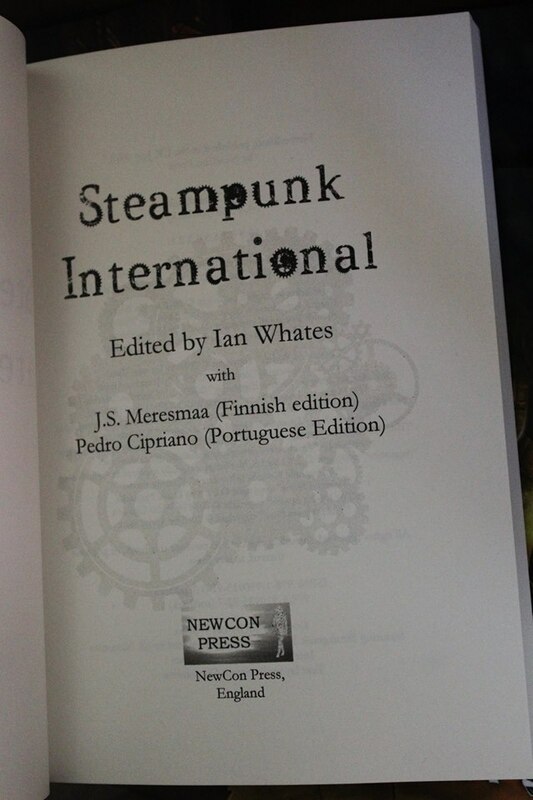 There's not to go now until Steampunk International is published here in the UK, and this week, editor Ian Whates posted some photos of the books which have indeed now been printed. However, both the Finnish and Portuguese editions are already available to buy! I have an order in for the Finnish one myself, as I have never had anything of mine published in Finland before. 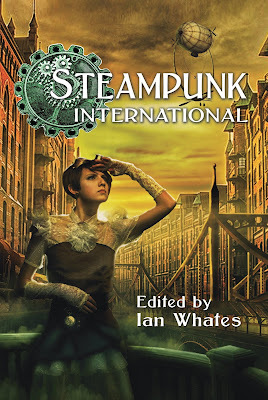 Steampunk International officially goes on sale on 17th July and features the brand new Ulysses Quicksilver short story Reckless Engineering. 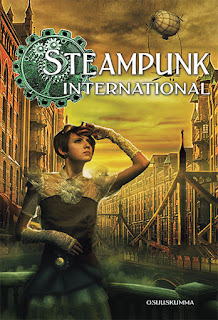 You may have seen my post about Steampunk International last month. Well, if you prefer your reading material as a series of zeroes and ones, rather than in the more traditional processed tree carcass format, you will be pleased to hear that the anthology is now available to pre-order on Kindle here. Steampunk International officially goes on sale on 17th July and features a brand new Ulysses Quicksilver short story entitled Reckless Engineering. 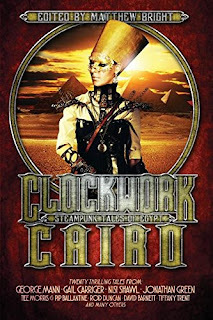 Don't forget that the previous Pax Britannia short story Worthless Remains features in Clockwork Cairo, which is also available for your Kindle. This weekend, I will be attending the UK Games Expo, from 9.30am on Friday until 4.00pm on Sunday. 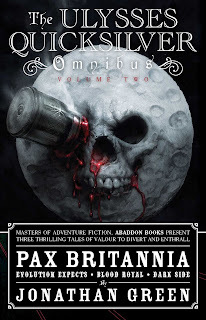 If you buy an ACE Gamebook from me, over the course of the weekend, you will also receive a FREE copy of The Ulysses Quicksilver Omnibus Volume 2 - containing the three Pax Britannia novels Evolution Expects, Blood Royal, and Dark Side - while stocks last. So that's potentially four books for a tenner! New Newsletter - Subscribers Welcome! Having launched my blog 11 years ago, to keep readers informed about my various projects, I've finally got round to setting up a subscriber list, so that I can keep interested parties informed even more effectively. 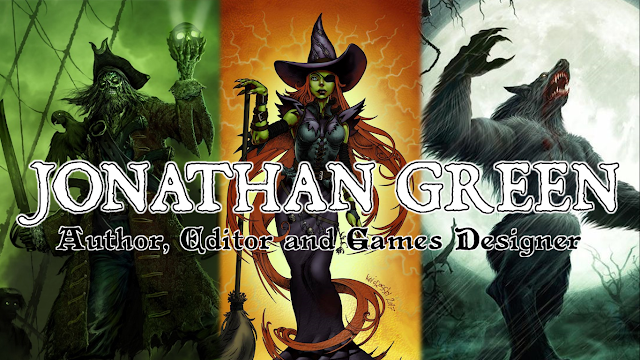 If you sign up to receive my Newsletter, you will get the lowdown on all the different things I'm working on - from short stories to novels, and gamebooks to anthologies - as well as advance notice of when new Kickstarter projects are launching and information about events I'll be attending. It would be great to have you along for the ride, and if you would like to subscribe, you can do so at the end of this link. Whether you've been following the adventures of Ulysses Quicksilver since the publication of Unnatural History in 2007 or not, with the release of a brand-new Ulysses Quicksilver story this summer - as part of the Steampunk International anthology published by Newcon Press - I thought it might be helpful if I published the correct reading order for the series to date. Remember, this the chronological order in which the stories take place, not the order in which they were written. Stories marked with an asterisk * are also available as part of The Ulysses Quicksilver Short Story Collection eBook. The first three Ulysses Quicksilver novels, and associated short stories and novellas, have been collected together as The Ulysses Quicksilver Omnibus Vol.1, while the fourth, fifth and sixth (and associated short stories and novellas) are now available as The Ulysses Quicksilver Omnibus Vol.2. 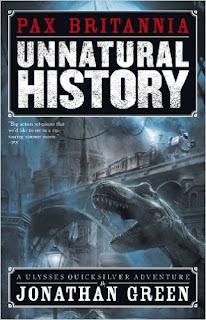 You can even pick up the eBook of Ulysses Quicksilver's first adventure Unnatural History for free here! Just remember, "Evolution Expects!" 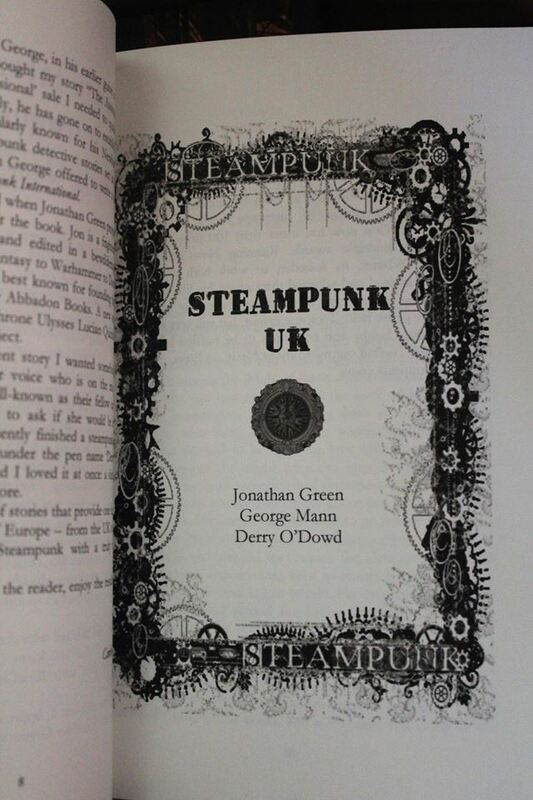 I regularly get asked by fans of the Pax Britannia steampunk series when I will write a new Ulysses Quicksilver story. 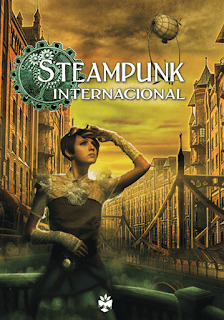 Well, if that applies to you, you will be pleased to know that I have a new one coming out this summer from Newcon Press, as part of the Steampunk International anthology, which combines steampunk stories from three different countries released by three different publishers in three different languages. My contribution is entitled Reckless Engineering, and is the first story to move the Pax Britannia timeline forward properly since 2012's Time's Arrow. 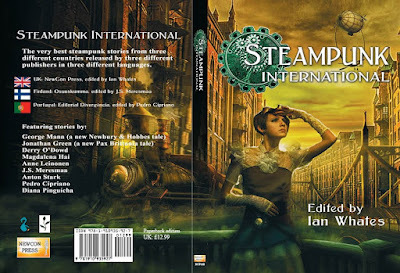 Steampunk International launches at this year's Eurocon, Nemo 2018, but you can pre-order your copy direct from Newcon Press by following this link.